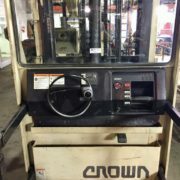 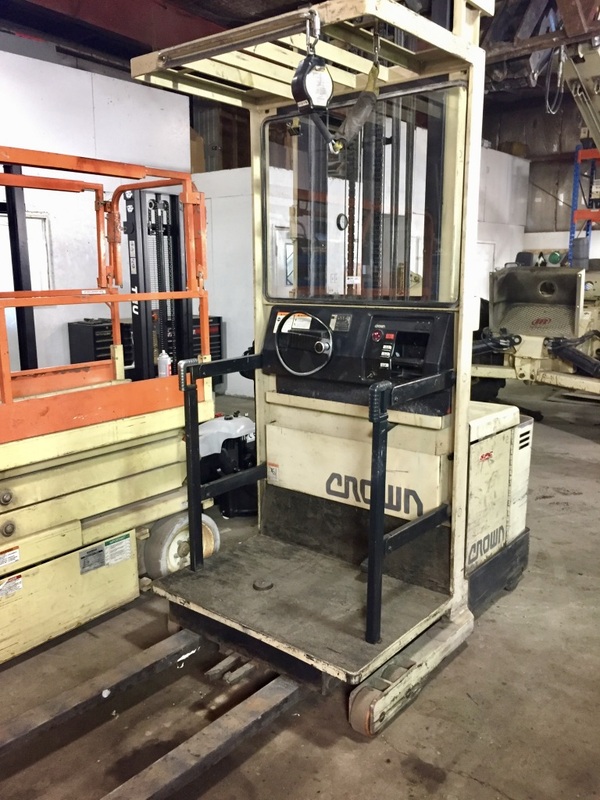 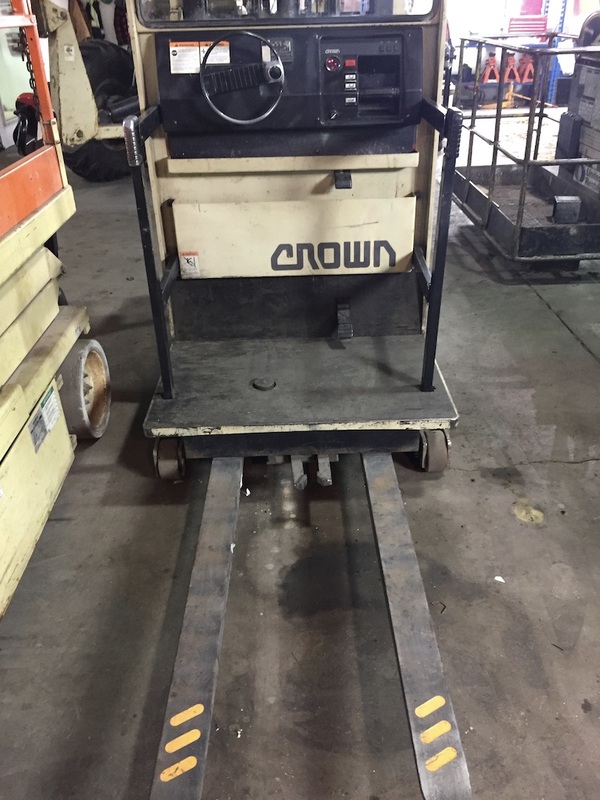 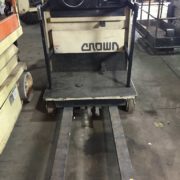 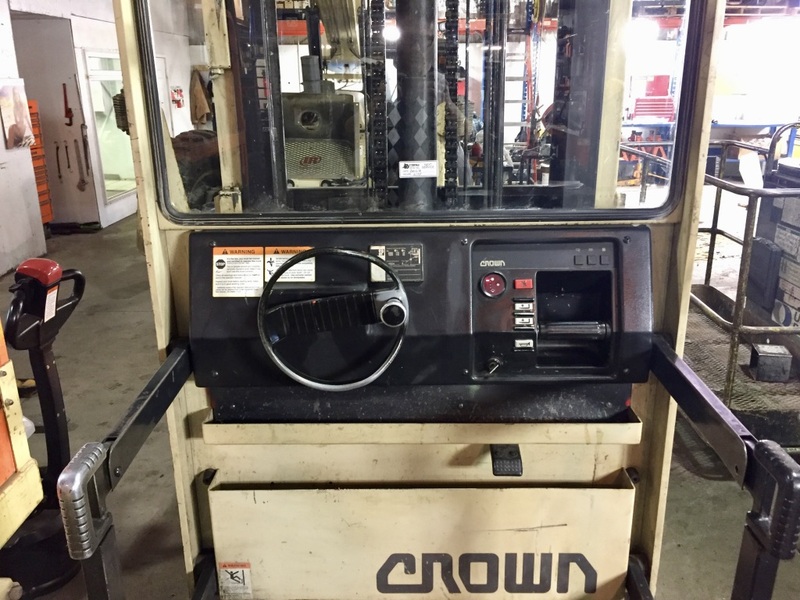 Crown SP model order picker. 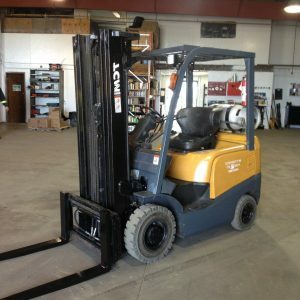 Ideal for indoor use if you don’t need a forklift. 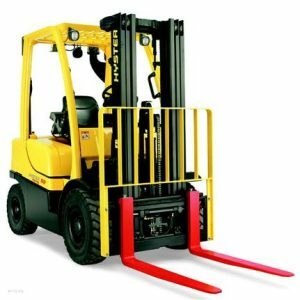 It has an operators platform with safety restraint, retractible side rails, beacon light, pallet forks, pallet lock. 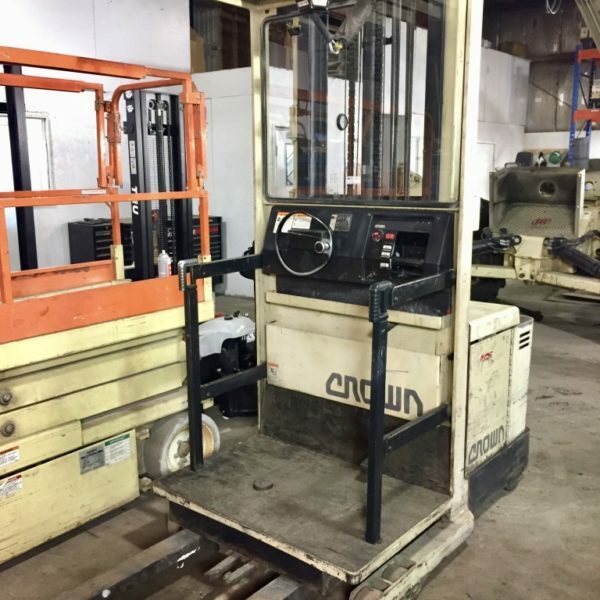 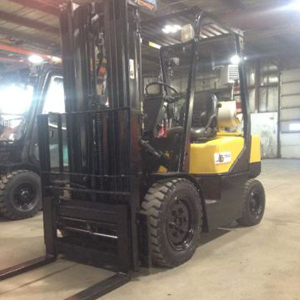 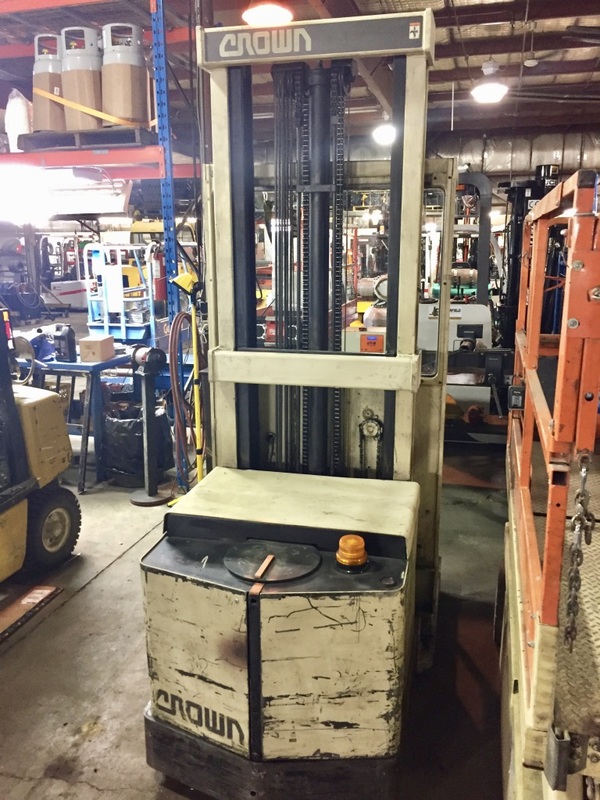 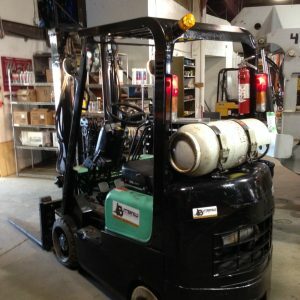 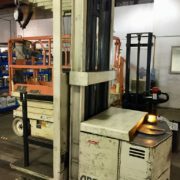 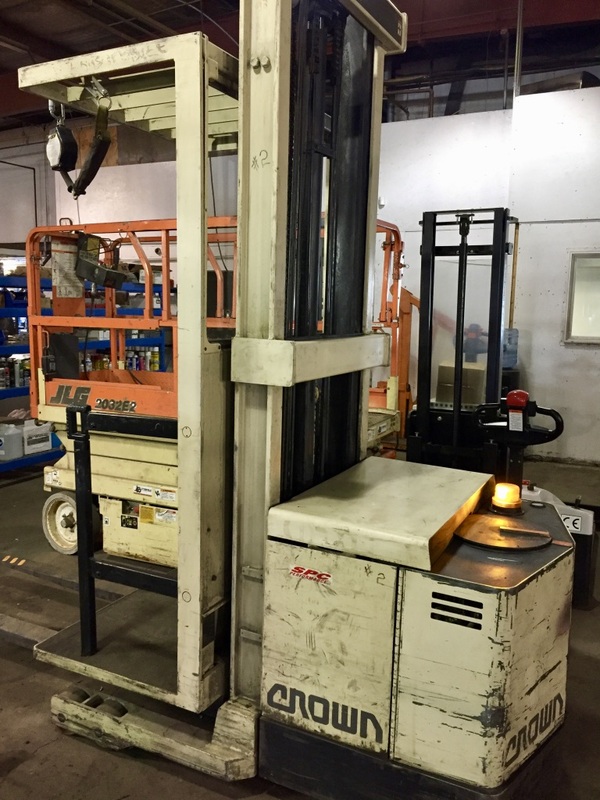 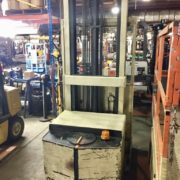 This unit has a 2850lb capacity and 170″ lift height.